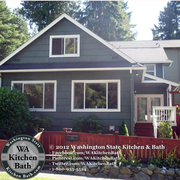 Please find below classifieds in category Home, garden category in Seattle. Please use the form above to refine your search in Home, garden in Seattle. If you can not find what you need in Seattle please add your wanted ad to let sellers contact you. If you want to keep your contact info confidential enter only your email address so you will receive offers into your account in our system. You can click Post a classified ad link below or the button Post classified for FREE in top right corner of this page to post your classified ad in category Home, garden in Seattle. It is fast, easy and free to post an ad in FREEADSinUS.com. It will take you just few minutes to have the ad available on our listings. You can edit your ads any time by clicking “Edit my ads" button on top right corner of this page. Are you searching the place where you can find the real estate agent who will help you to find the property. Long Beach Property is a reputed real estate agency which provide house for sale at Ilwaco WA and other locations also. Feel free to reach us anytime to check the offer and packages and find the best deals here. Weather – Shield and Shade Canopies! 20’ to 40’ long - $697 Kit Sizes: 18’ wide, 20' to 40' long Sizes can be adjusted; Larger Sizes Available upon Request! Ask Larry to Protect Your Investment Order Now! 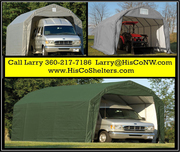 See: www.HisCoShelters.com Call: 360-217-7186 or Email: Larry@HisCoNW. Kit Sizes: 30’ wide, 30' to 50' long Sizes can be adjusted; Larger Sizes Available upon Request! • Fitted, full valanced polyethylene cover. • 100% waterproof with advanced, engineered, triple-layer and rip stop fabric features. Ask Larry to Protect Your Investment Order Now! See: www. Increase Your Growing Season by 4 Months! The Grow IT Heavy Duty Greenhouse with roll-up side vents delivers quality construction, quick and easy assembly and best in class value. Round and Peak Roof Heavy Duty Greenhouse SIZES From: 6’ to 12’ wide, 8’ to 24’ long, 8’ high Sizes can be adjusted; Larger Sizes Available upon Request! Ask Larry to Protect Your Investment Order Now! See: www. STOP Weather and Sun Damage! MotorHome, RV, 5th Wheel, Trailer, Truck, Boat SIZES From: 18 & 22' wide, 10' & 12' high, 20 to 100 long * Heavy duty steel frames * Long lasting UV, water proof, quality covers * Fully enclosed sides and ends * Double zippered front and rear doors * Easy to assemble See more here: www. 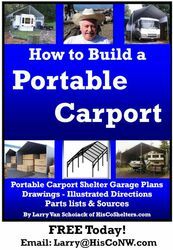 Build-Your-Own Portable Carport (EBook) STOP Weather and Sun Damage! Build a Portable Carport for less Free eBook Today - See www.HisCoShelters.com » or email Larry@HisCoNW.com » Book Includes Step-by-step instructions Many pictures Portable Carport Plans Drawings Parts Lists Material Sources I have given you all the information to make your own Carport for thousands less than you may have thought. STOP Weather and Sun Damage! MotorHome, RV, 5th Wheel, Trailer, Truck, Boat SIZES From: 26’ & 30' wide, 12' to 20' high, 20’ to 100’ long * Heavy duty steel frames * Long lasting UV, water proof, quality covers * Fully enclosed sides and ends * Double zippered front and rear doors * Easy to assemble See www. STOP Weather and Sun Damage! 4 MotorHome, RV, 5th Wheel, Trailer, Truck and Boat SIZES From: 13’ to 14’ wide, 24’ to 40’ long, 10’ to 12’ at peak * Heavy duty steel frames * Long lasting UV, water proof, quality covers * Fully enclosed sides and ends * Double zippered front and rear doors * Easy to assemble See www. Weather-Shield Portable Garage Shelter– Round Roof Style -$1097 STOP Weather and Sun Damage! 4 MotorHome, RV, 5th Wheel, Trailer, Truck and Boat SIZES From: 13’ to 14’ wide, 24’ to 40’ long, 10’ to 12’ at peak * Heavy duty steel frames * Long lasting UV, water proof, quality covers * Fully enclosed sides and ends * Double zippered front and rear doors * Easy to assemble See www. STOP Weather and Sun Damage! MotorHome, RV, 5th Wheel, TrailerTruck, Boat Kit Sizes: 12' to 16' wide, 25' to 30' long, up to 17' high * Heavy duty steel frames * Long lasting UV, water proof, quality covers * Easy to assemble See more www.HisCoShelters.com Call Larry 360-217-7186 or Larry@HisCoShelters. Portable Carport RV Shelter for less 35 to 40 long - $1197 STOP Weather and Sun Damage! 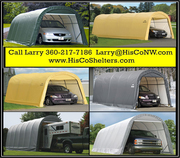 Kit Sizes: 12' to 16' wide, 35' to 40' long, 16' high * Heavy duty steel frames * Long lasting UV, water proof, quality covers * Easy to assemble See more www.HisCoShelters.com Call Larry 360-217-7186 or Larry@HisCoShelters. Stop Weather and Sun Damage with a Weather-Shield Shelter Cargo Shipping Container Cover Shelter & Covered Work Space Kit Sizes: 8' to 30' wide, 9' to 22' high, any length. 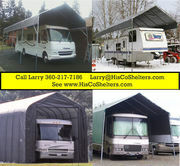 See www.hiscoshelters.com Call Larry 360-217-7186 or Email for Quote or Questions? 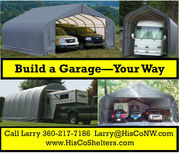 Larry@HisCoNW.com DIY Container Cover Shelter Kits from $1197 See www. 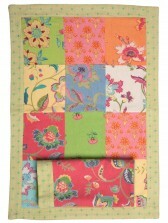 RV Cover, Keep it New! Weather-Shield RV Cover, Keep it New! - $229 STOP Weather and Sun Damage! Protect Your Investment and Keep it Looking New! MotorHome, RV, 5th Wheel, Trailer, Truck, Boat Length from: 18' up to 44' * Best 5 YEAR WARRANTY * Long lasting UV, water proof, quality covers See more www. STOP Weather and Sun Damage! MotorHome, RV, 5th Wheel, Trailer, Truck, Boat SIZES From: 15’ wide, 36’ to 100’ long, 16’ at peak * Heavy duty steel frames * Long lasting UV, water proof, quality covers * Fully enclosed sides and ends * Double zippered front and rear doors * Easy to assemble See www. Kit Sizes: 10' to 30' wide, 6' to 20' high, any length * Heavy duty steel frames * Long lasting UV, water proof, quality covers * Easy to assemble See more www.HisCoShelters.com Call Larry 360-217-7186 or Larry@HisCoShelters.com for Quote or Questions. DIY Portable Carport Kits from $597 See www. Build Your Portable Garage your Way! STOP Weather and Sun Damage! MotorHome, RV, 5th Wheel, Trailer, Truck, Boat Build a Portable Garage Your Way Kit Sizes: 10' to 30' wide, 6' to 20' high and up to 100' long * Heavy duty steel frames * Long lasting UV, water proof, quality covers * Fully enclosed sides and ends * Double zippered front and rear doors * Easy to assemble See more www. STOP Weather and Sun Damage! MotorHome, RV, 5th Wheel, Trailer, Truck, Boat Kit Sizes: 10' to 30' wide, 6' to 20' high, any length * Heavy duty steel frames * Long lasting UV, water proof, quality covers * Easy to assemble See more www.HisCoShelters.com Call Larry 360-217-7186 or Larry@HisCoShelters. Erin Belmore is the GM of WSKB. Mr. E Belmore is a licensed contractor plus remodeling adviser. Mr. E Belmore is a sincere benefit to WSKB inasmuch as he is very keen concerning modernizing houses and is highly educated relating to all parts of his trade as Erin Belmore has more than two decades involvement in the construction line of work. Printed Table placemats and napkins – We design, manufacture and retail our own range of mats, napkins and range of tableware using traditional processes like printing, patchwork, tie and dye.. Our products are also supplied to high street retailers across in US and Europe. http://www.handprintonline. Visit our retail stores or buy online from our range of environment and socially friendly products.Our workshop is designed with organic materials, open spaces and natural light to create an environment that inspires crafts people and designers. We develop new dyeing techniques, block and screen prints, machine and hand embroidery patterns and have quilting facilities all under one roof. This is classifieds listing page in category Home, garden in Seattle. The listings include ads for sale and wanted ads posted in Seattle location on our site or sourced from Oodle.com from categories related to Home, garden. If you posted an ad on this page before please click "Edit my ads" button to sign in your account and edit your classified ads, check the requests sent to you from your ads contact forms or check the offers sent to your wanted offers. Home, garden Seattle classifieds, Seattle ads, Seattle classified ads, garage sale Seattle. Find here ads for sale, to buy and rent in Seattle. Goods for sale in Seattle, vehicles for sale in Seattle, Seattle real estate for sale, Seattle property for sale, property for rent in Seattle, business ads in Seattle, Seattle business classifieds, services in Seattle, Seattle services ads, jobs in Seattle, pets for sale in Seattle, Seattle dating, Seattle cars for sale.